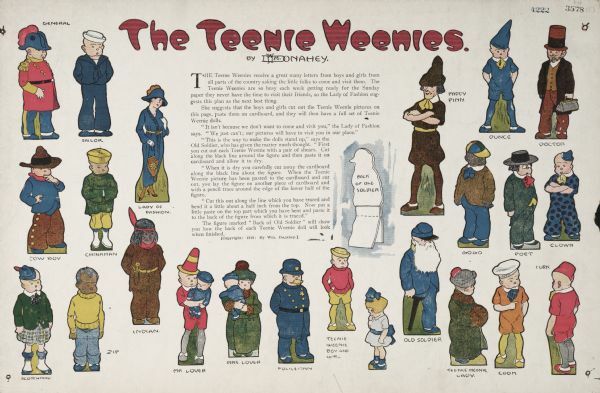 William Donahey's Teenie Weenie Dolls. The print features many of the characters: the General, the Sailor, the Lady of Fashion, Mrs. Lover, the Doctor, Turk, and many more. The text instructs boys and girls how to cut out the Teenie Weenie pictures so they can have a full set of Teenie Weenie dolls.